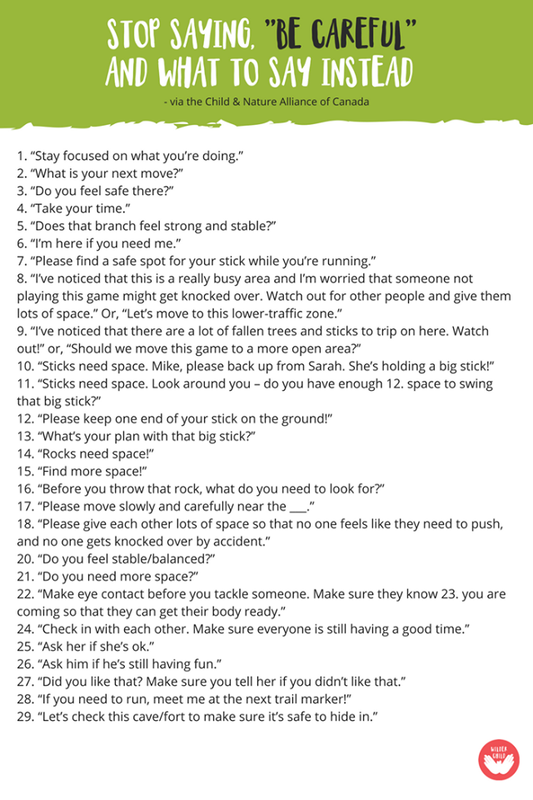 How many times do you imagine a child hears an adult say, “Be careful!”? I suspect it’s a close second to them hearing, “No!” And, if it’s a female child, it may be the number-one phrase coming at them, as studies have shown that girls are cautioned far more often than boys. This, of course, is a clear and persistent message that one shouldn’t take too many risks. That there are far too many hazards in the world. So, children learn to “stay safe.” They learn to fear. But outright cautions aren’t the only way in which children are receiving those messages. When a school takes away all traditional playground equipment and replaces it with safe, sanitized (read: boring) plastic, they don’t need to hear the concern spoken aloud to get the message. 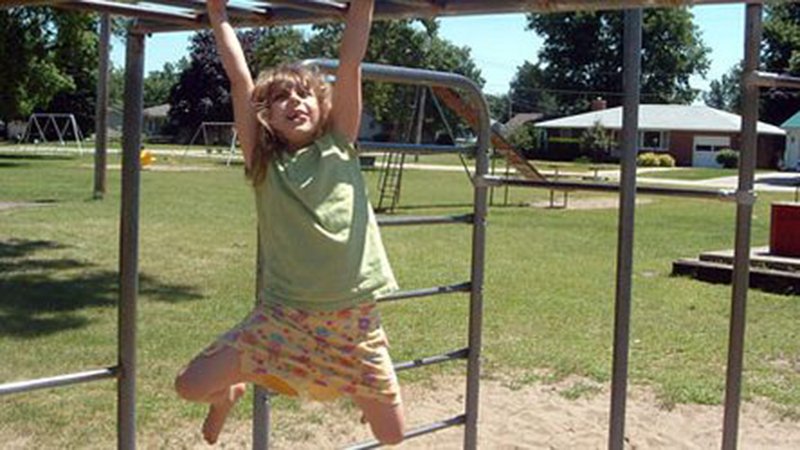 When a school bans tag or cartwheels, children learn that it’s safer to be sedentary than physically active. When children aren’t allowed to walk – or do much of anything, really – alone, the not-so-subliminal message is that they need to be protected…from everything. This tells me that adults are placing their needs above those of the children. Because, the fact is, children need to take risks! Indeed, they were created to do so – and to know just how far they can push the boundaries. As research professor Peter Gray points out, risky play teaches children emotional resilience. We believe that we’re protecting children when we “bubble-wrap” them, but the truth is that children who grow up afraid of risk will not be resilient. They will not be problem solvers. They will certainly not be able to handle risk, which is inherent in life, when it comes along. Often, they will crumble when faced with challenge. We wouldn’t keep a child from learning to speak, or read, and then expect them to suddenly know how to do so as an adult. Why is it we think we can keep children from learning to take risks – from learning to overcome challenges – and that they’ll miraculously acquire the ability when they’ve grown taller?